What does this test measure? The Octogram describes which work and leadership styles fit with the candidate. Based on Quinn’s Competing Values Framework, the Octogram is the linchpin of the OTM system. What makes this test so valuable, and different from competing psychometric instruments, is that it is based on a management model, a description of how people interact and work in the real world. We started with an understanding how people work and then created a test to measure the personality traits that underpin those behaviors. Other tests were built on models of personality and then retrofitted to attempt describing work behaviors based on those traits, an activity that is difficult to do and either requires extensive training to do properly. Because the Octogram is based on a management model, you already know how people work and behave, we’re just making what you already know testable. The eight traits of the Octogram describe the things you do and see every day in the work place, see the video below for a more in-depth description of what each of these traits is describing. When would you use this test? 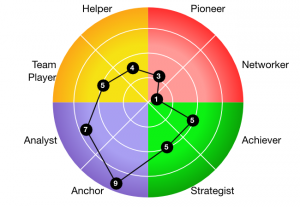 The Octogram test gives a clear view on which work and leadership styles fit best with a candidate. 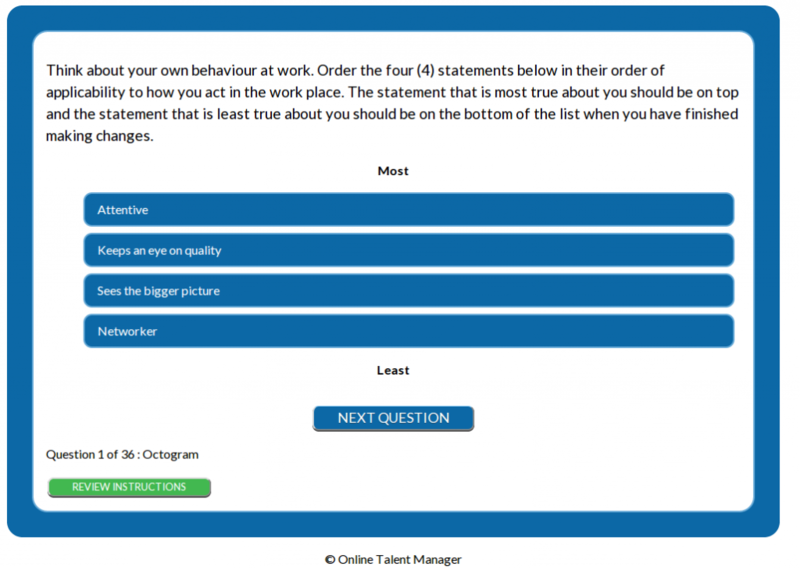 Many of our clients use the Octogram as a starting point and then add other tests to a candidate’s session to answer specific, additional questions.